Daniel E. Ashmore is a senior partner with the Rapid City law firm of Gunderson, Palmer, Nelson & Ashmore, LLP where he practices in the areas of Insurance Defense; Workers' Compensation; Civil Litigation; Bad Faith Defense; Construction Law; Product Liability Defense; and Personal Injury. 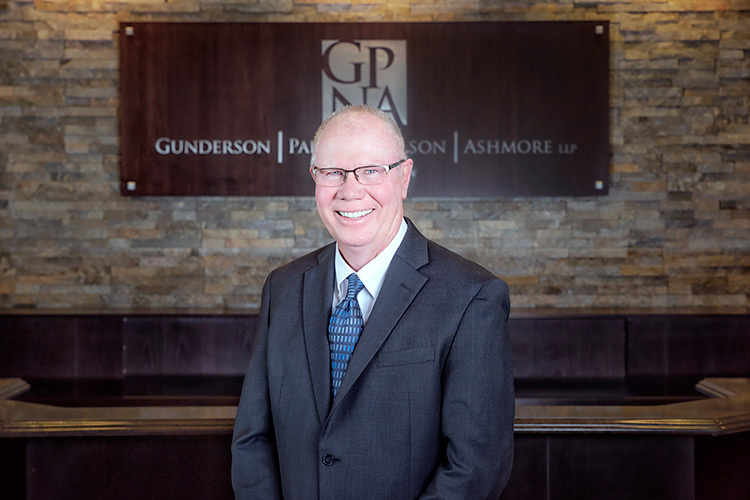 He received his Juris Doctor Degree from the University of South Dakota School of Law in 1979 and is licensed to practice law in South Dakota and North Dakota. Dan has been selected for inclusion in Chambers USA- America's Leading Lawyers, The 20th edition of Best Lawyers in United States for Bet-the-Company Litigation, Commercial Litigation, Insurance Law, Litigation - Construction, Litigation - Labor & Employment and Workers' Compensation Law - Employers, 2012 Great Plains Super Lawyers List, and was past Chairman of the South Dakota State Bar Workers' Compensation Committee. Dan was additionally named Best Lawyers' 2013 Rapid City Bet-the-Company Litigation "Lawyer of the Year". Dan is a member of the International Association of Defense Counsel (IADC), Defense Research Institute, South Dakota Defense Lawyers Association, the American Bar Association, South Dakota & North Dakota State Bar Associations, and the Pennington County Bar Association. Martindale-Hubbell Rating- AV. Best Lawyers in America as 2018 “Lawyer of the Year” in the practice area of Insurance Law in Rapid City.